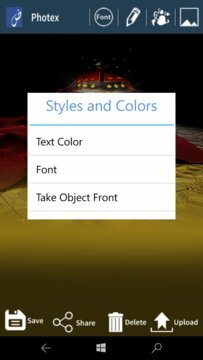 Photex is a simple app to add text on photos with attractive designs and multiple features. If you lack creativity and not an expert in the art of design then try photex. It will really help you for making posts and in advertising for business, media groups, poetry/shairy writers and Islamic post designers. Now writing on photos and images of your favorite stylish fonts is quite simple. Not only it has much more fonts and stickers but also a variety of backgrounds are available. Make posts like Poetry, Religious Verses ( Quran / Kuran & Ahadith ), Love Letters, Selfies, Snaps and other Social and Public service messages with just a simple swipe. Photex is now solving the problems of Urdu lovers, as it is Urdu photo editor. Note: It will be available on IOS and Windows phone but now this is only on google app. Keep enjoying it. ◆	Gallery provides access to your own photos and selfies. 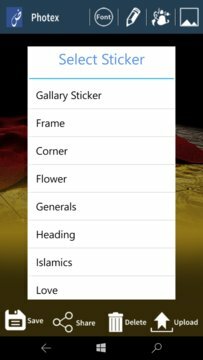 ◆	It have a number of stickers and vectors like Islamic, General, Poetry, Love, Flowers etc.